After weeks of anticipation and excitement, Durga Puja has finally begun. The sound of ‘dhak’, blowing of the conch shells and reciting of prayers by priests marked the beginning of Durga Puja with the Sasthi rituals in several pandals across Western Odisha on Saturday. People in small groups accompanied by drummers could be seen on way back from the pandals after performing the puja with ‘kalash’ and ‘khanda’ in Sambalpur town. The practice has its genesis in middle 19th century with idols of Goddess Durga being worshipped in Kumbharpada (presently known as Sansadak), Hatpada and Daleipada. 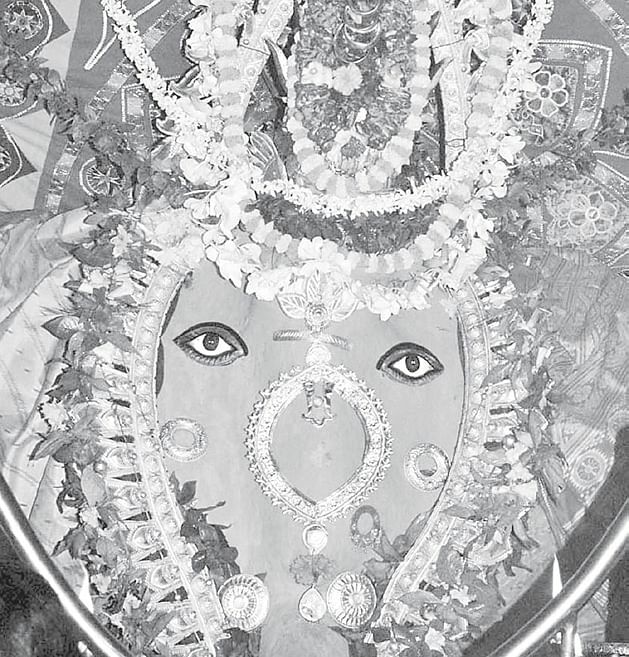 Durga puja acquired the status of ‘Sarbajanina’ (community festival) in the town in 1918 with the worship of the Goddess at Kalibadi by the Bengali community of Sambalpur. The puja of Kalibadi continues to be untouched by modernity and is observed in the traditional way. While the time of immersion varies for other puja committees, there has been no deviation in the last nine decades with the Kalibadi Puja Committee, always going for immersion on Dasami. Puja at Dhanupali stands out among the other pandals in the town with fish and kakharu (pumpkin) being offered on Dasami. Animal sacrifice has been replaced with the cutting of pumpkin, a practice followed by most puja committees of the town. Like at Kalibadi, the puja at Budharaja is also performed in the traditional Bengali style. Even the ‘Dhak Baja’ is brought from Kolkata to add to the festive fervour. The ‘Sindur Daan’ (offering of vermilion) is another characteristic of both Kalibadi and Budharaja which involves married women applying ‘sindur’ to each other and distributing sweets. At the puja pandal at Ambedkar Nagar in Gurdwara Lane of Mudipada, bangles are offered to married women by the organisers. The Hatpada puja committee provides ‘anna bhoga’ on Dasami to all pandal visitors and people of the locality.